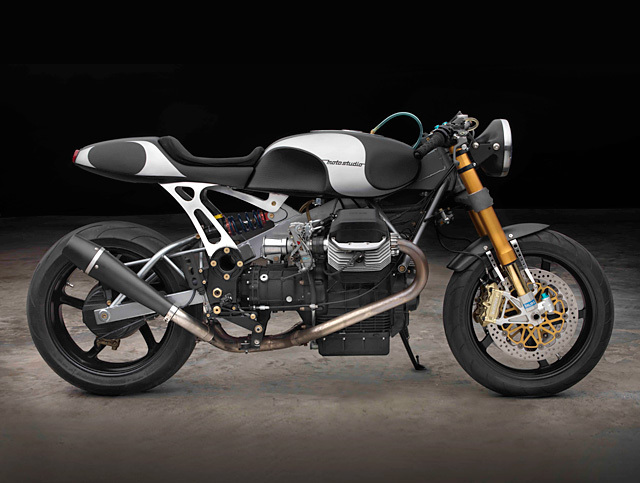 When Moto Guzzi released the 1995 1100 Sport the global press first fell in love with the idea of a true Guzzi sports bike and then just as quickly turned to frowns when it was announced the dry weight would be an obese 230kg. 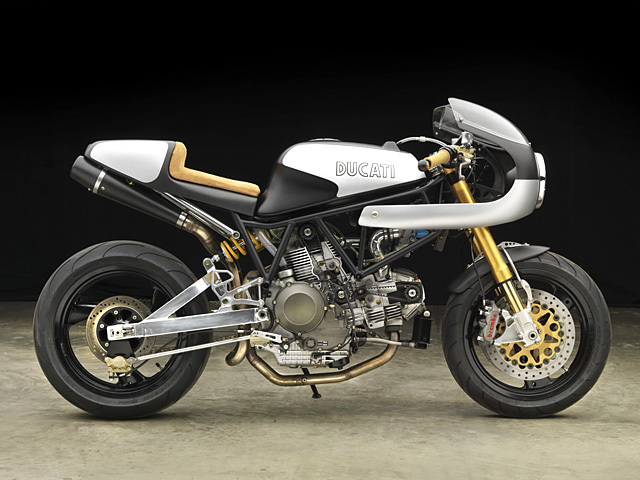 That sort of weight and “sport” just don’t fit, but some 20 years after its release experts of crafting Italian classics, Moto Studio of Miami Florida asked themselves a simple question. 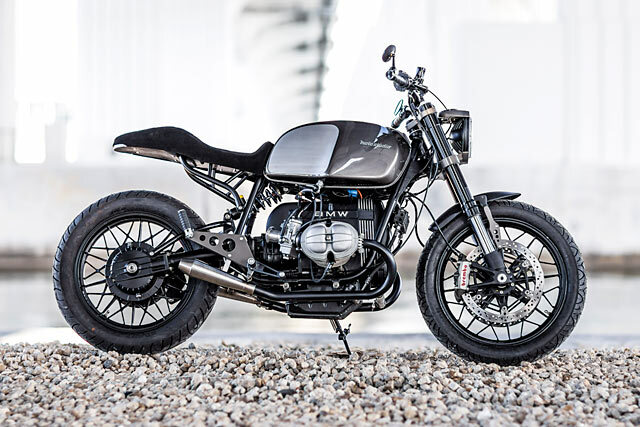 “How do you make a Moto Guzzi into a sport bike?” The answer is to shed as much weight as possible, increase horse power as much as one can while still running pump gas and dial in some serious suspension bits.